Smart buildings and smart homes are concepts that make digital, intelligent solutions that make living and working more convenient and can be integrated into building automation. Depending on the indoor climate as well as the wind and other weather conditions, the D+H control panels control the indoor air or, in emergency situations, send the signal to the window drives for fast opening for smoke and heat exhaust ventilation (SHEV). The SHEV control panels thus enable smoke extraction from the stairwell or lift. Fire door control systems control the locking mechanisms of fire doors and gates and can prevent the spread of fire and smoke in the building in case of fire. The new ventilation system from D+H can activate both 24 V DC and 230 V AC drives. Thanks to the communication using the Advanced Communication Bus (ACB), the new D+H ventilation control panel, the CNV-S, can communicate and interact with the window drives, ensuring synchronous control. This makes controlled natural ventilation – including allowing air in and out or automatic cross ventilation – in accordance with the DIN 1946-6 standard an easy task. The services provided by the D+H control panel include cooling at night, daily timer programmes, and window opening in the event a certain CO2 value is exceeded. SHEV systems such as the newly developed CPS-M ensure safe and reliable smoke exhaust. 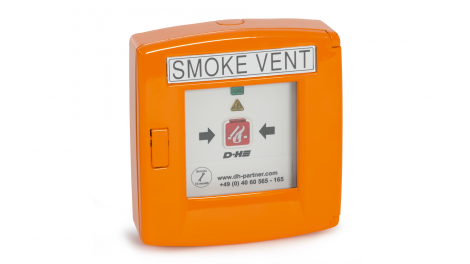 The new smoke vent control panel from D+H has a fully modular structure. This means that an existing control panel can be added, or existing modules can be replaced, at any time without disconnecting the power supply. This ensures current distribution without wiring. Thanks to the Advanced Communication Network (AdComNet) bus system tested by German product safety organisation VdS, communication can be established between additional ACN-compatible control panels. An additional module makes it possible for the controllers to exchange information with other systems via an open Modbus interface. Fully modular, pre-assembled SHEV control panel: The CPS-M1-20 is our most innovative development. It is equipped with a load current of 20 A, has six combined RT and RM lines as well as six motor connections that can be controlled separately, depending upon the requirement. Ingeniously simple with an ultra-compact design: The CPS-M1-040 quickly and reliably provides smoke and heat exhaust ventilation with up to six combined RT and RM lines, six motor connections that can be controlled separately as well as a load current of 40 A. Fully modular SHEV control panel: The CPS-M1-S is our most innovative development. According to customer requirements, this control panel is equipped with the desired load current and CPS-M modules. Tested by German safety organisation VdS, our SHEV solution for any building where the wiring effort needs to be reduced by using 230 V window drives: The 230 V AC SHEV system also provides an emergency power supply for 230 V drives in case of a power failure. Our turnkey package for small systems: The RZN 4503-T combines a SHEV control panel, ventilation button and trigger button in a single housing. The most compact control panel from D+H has an output of 3 A and is ideal for stairwells and single rooms. A convenient complete solution for smaller rooms and stairwells: In addition to the compact RZN 4503-T control panel with integrated smoke extraction and ventilation button, this controller set includes a second operation panel, a smoke detector and an emergency power battery. When you need plenty of power in a small space: Our RZN 4404-K V2 control panel in a compact sheet steel housing or plastic housing with sheet steel door operates using up to 4 A of drive current to provide safety, comfort and convenience in buildings. Improved voltage quality with plenty of power: The RZN 4408-K is one of the modular control panels and ensures the activation of SHEV and ventilation drives up to 8 A. AdComNet ready. Versatile SHEV modular control panel with 4 A for small and medium-sized buildings: With 2 lines, 2 groups and an expansion slot for an additional module, the RZN 4404-M features outstanding flexibility. AdComNet ready. Just as flexible as the RZN 4404-M, with twice the power: Our RZN 4408-M modular control panel provides activation of SHEV drives with a drive current of up to 8 A. For 2 fire compartments, 3 drive groups and an expansion slot. AdComNet ready. Powerful modular control panel with up to 16 A: As a compact SHEV control panel, our RZN 4416-M features a circuit board that is fixed in the housing. For 2 fire compartments, 3 drive groups and an expansion slot. AdComNet ready. Commonly found in airports and shopping centres: With a virtually unlimited number of slots and freely scalable power, the RZN 43xx-E is a genuine all-around talent. Regardless of what type of construction project you are planning, this SHEV plug-in control panel simply does what you want. Our turnkey package for small systems: The DAC 4503-T combines a SHEV control panel, ventilation button and trigger button in a single housing. The most compact control panel from D+H has an output of 3 A and is ideal for stairwells and single rooms. When you need more power in less space: Our DAC 4404-K V2 control panel in a compact plastic housing with sheet steel door operates using up to 4 A of drive current to provide safety, comfort and convenience in buildings. When you need more power in less space: Our DAC 4404-K V2 control panel in a compact sheet steel housing operates using up to 4 A of drive current to provide safety, comfort and convenience in buildings. Improved voltage quality with plenty of power: The DAC 4408-K in a plastic housing is one of the modular control panels and ensures the activation of SHEV and ventilation drives up to 8 A. AdComNet ready. Improved voltage quality with plenty of power: The DAC 4408-KS in a sheet steel housing is one of the modular control panels and ensures the activation of SHEV and ventilation drives up to 8 A. AdComNet ready. Versatile SHEV modular control panel in plastic housing with 4 A for small and medium-sized buildings: With 2 lines, 2 groups and an expansion slot for an additional module, the DAC 4404-M features outstanding flexibility. AdComNet ready. Versatile SHEV modular control panel in sheet steel housing with 4 A for small and medium-sized buildings: With 2 lines, 2 groups and an expansion slot for an additional module, the DAC 4404-MS features outstanding flexibility. AdComNet ready. Just as flexible as the DAC 4404-M, with twice the power: Our DAC 4408-M modular control panel provides activation of SHEV drives with a drive current of up to 8 A. For 2 fire compartments, 3 drive groups and in a plastic housing. AdComNet ready. Just as flexible as the DAC 4404-MS, with twice the power: Our DAC 4408-MS modular control panel provides activation of SHEV drives with a drive current of up to 8 A. For 2 fire compartments, 3 drive groups and in a sheet steel housing. AdComNet ready. Powerful modular control panel with up to 16 A: As a compact SHEV control panel, our DAC 4416-M features a circuit board that is fixed in the steel housing. For 2 fire compartments, 3 drive groups and an expansion slot. AdComNet ready. Our I/O module enables communication between the AdComNet bus and commercially available peripherals via digital inputs and isolated contacts. The connection module provides all AdComNet-ready controllers with direct access to AdComNet, our proprietary bus communication network. This turns an individual system into a high-performance network for implementing large-scale projects. The Modbus gateway enables communication between AdComNet bus and Modbus-based solutions. The basic / expansion set includes a supply and control unit as well as their required assemblies for setting up a CPS-M control panel. In addition, this set is equipped with a large colour touchscreen. The basic / expansion set includes a supply and control unit as well as their required assemblies for setting up a CPS-M control panel. The PSM-MS-TCSU-CC supply expansion set ensures that the CPS-M system is properly supplied with power up to 40 A. In the event of a power cut, it switches from the power supply unit to the battery. The set includes all components required to connect it to a CPS-M control panel. The AM-MS actuator module expansion set reliably monitors the infeed lines of the connected drives and ensures that the windows can be opened and closed reliably. It includes all relevant assemblies for connecting to a CPS-M control panel. The AM-MS 230 actuator module expansion set reliably monitors the infeed lines of connected 230 V AC drives. It includes all relevant assemblies for connecting to a CPS-M control panel and for connecting an NSV 401 emergency power supply unit. The TMA-MS actuator module expansion set triggers an alarm via connected smoke detectors, smoke sensors or via the push of a button in the event of a fire. It includes all relevant components for connecting to a CPS-M control panel. The BRM-MS bistable relay expansion module set transmits the control panel and external voltages within a CPS-M over 6 configurable, isolated changeover contacts and features all the relevant components for connection to a CPS-M control panel. The IOM-MS input output module set is an important addition to the CPS-M. It features 12 digital inputs and outputs for evaluating and signalling switch signals and all the relevant components for connection to the CPS-M. The LE 513 line plug-in unit is used exclusively for the RZN 43xx-E plug-in unit control panel for integrating smoke detectors and smoke buttons into a SHEV system. Using the GE 628 V2 group plug-in unit, motorised 24 V drives are integrated into the SHEV system RZN 43xx-E and cable monitored. Controlled natural ventilation is also possible via ventilation buttons, which can be connected as an option. Compared to the GE 628 V2 group plug-in unit, the window drives connected to the GE 628-L V2 can be used only for controlled natural ventilation. The WE 516 weather plug-in unit integrates SHEV and CNV relevant weather data, such as the wind direction and speed or rain, into the RZN 43xx-E control panel system. Our SE 622 servo plug-in unit is likewise used exclusively for the RZN 43xx-E control panel system and can move drives open and closed with perfect positioning in combination with a group plug-in unit with SGI option. 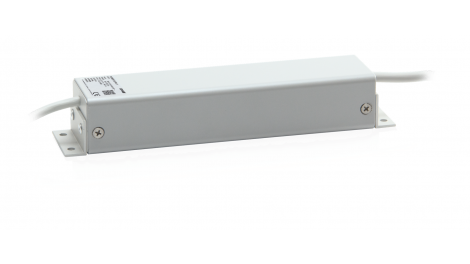 Exclusive application for RZN 43xx-E controllers: The AE 525-A window-lock plug-in unit integrates the connection options of the LE 513 line plug-in unit and expands these by adding window-lock units. The AE 526-DG window-lock plug-in unit is, like the AE 525-A, intended for the SHEV system RZN 43xx-E, but is used for activating pressurised gas generators. Converter from Modbus to BSY+: Thanks to the ACB BSY+ Gateway ACB-BSY+-GW1-24, now 24 V BSY+ drives can be easily integrated into an ACB network as well. Expanding BSY+ drives by ACB technology: Now, 230 V BSY+ drives can also be easily integrated into an ACB network using the ACB BSY+ Gateway ACB-BSY+-GW1-230. Our AM 44-Z is an additional module for SHEV systems for integrating alarm cut-off modules such as signal emitters, fire bells and flashing lights. 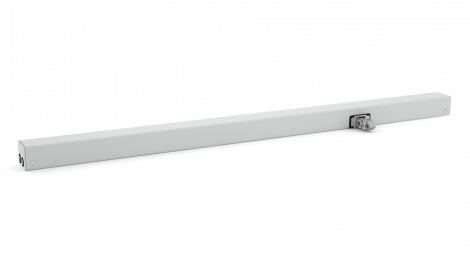 The AT 41 is an additional module for RZN and GVL control panels for time-delayed activation of the drive in conjunction with blinds or other units that provide shade. Our BSY-GW 024-010-U interface module can be used to activate BSY+ drives with perfect positioning via the building management system. The DM 41 diode matrix is used for multifaceted and complex circuits. Our ERM 44 end relay module is used to provide OPEN and CLOSED signals from BRV, TMS or BSY+ drives as isolated contacts. The FS 41 sequence control module is intended for chronological co-ordinated activation of motorised, overlapping window sashes. Additional module for the GVL 8408-M: The GME 83 enables an additional connection for motorised 24 V drives. The GSV 45 group hub is used as a Y-connector for drive technology. Our IM 44-E pulse module is an exclusive expansion for the line plug-in unit of the RZN 43xx-E and converts incoming continuous signals into pulses. The IM 44-K/M fulfils the same functions as the IM 44-E pulse module, but is only suitable for the RZN 44xx-K/M. An additional pulse module with another type of installation: The IM 80 is not plugged directly onto the line connection but attached to top hat rails. A time relay for top hat rail installation with a wide variety of functions: In combination with the MFR 5, complex tasks such as time or switch-on delays can be implemented. The NSM 41 zero switching module delays the switching procedure of a drive group. Protection against getting caught in closing windows: To protect main and side closing edges on windows, we offer the SSM 45 closing edge safety module matched with corresponding sensors. For use in all RZN systems: The TR 42 cut-off relay module forwards alarm and fault signals using isolated contacts. The freely usable TR 43-K cut-off relay with two changeover contacts is intended for forwarding or integrating signals as desired. Installed close to the drive, our TR 44-AP cut-off relay module activates motorised 230 V drives with a control panel's 24 V group voltage. Same functions, different type of installation: Unlike the TR 44-AP, the TR 44-K is installed on a supporting rail within a control panel. The freely usable TR-IFD cut-off relay with two changeover contacts is intended for forwarding or integrating signals as desired. The TRL 8 cut-off relay module can be activated directly using 230 V to operate motorised window drives for controlled natural ventilation with the same voltage. Our UM 41-Z transfer module can be used in conjunction with RT 42-Z-K operation panels and is used for SHEV controllers. The WFR 41 weather stepping relay transmits wind and rain signals from one controller to the next. Our RTR 231 room temperature control is used for automatic control of ventilation flaps in combination with 230 V ventilation drives. The ITR 79 temperature regulator has an external sensor and can be installed in any control panel. Timer with one channel: The TR 608 is used for time-relevant controllers. The TR 612 has the same functions as the TR 608 but has two channels. Flush-mounted control panel for controlled natural ventilation: The VCM 05U can be controlled via buttons as well as via wind and rain signals. The ventilation control panel in a compact surface-mounted housing: The GVL 8301-K is ideal for use in small-scale applications such as individual rooms and conservatories. Our ventilation control panel GVL 8304-K can provide four times the power compared to the GVL 8301-K.
Can also be used via wireless remote control: The GVL 8401-K-RC can be activated wirelessly, increasing user convenience. Control multiple drive groups at the same time: The GVL 8408-M control panel is our powerful variant for controlled natural ventilation. In combination with additional D+H modules, the WRZ wind and rain control panel activates up to 20 ventilation groups and takes into account weather data, temperature and manual activation. The WRZ 8000 has all the features of the WRZ as well as a control panel which can be used to set the wind strenght and the signal retention time. Our BAZ 04 fire door control panel is used to activate locking mechanisms for fire protection gates and doors using smoke detectors and trigger buttons. The BAZ 04-N-UT control panel features an integrated recess button. Built-in batteries provide an emergency power supply for up to four hours.